The FBI is offering a reward of up to $10,000 for information leading to the identification, arrest, and conviction of the person or persons responsible for the disappearance and death of Alexandra (Alex) Anaya. The Federal Bureau of Investigation (FBI) is seeking information from the public regarding the unsolved murder of 13-year-old Alexandra (Alex) Anaya. On August 13, 2005, Alex was reported missing from her Hammond, Indiana residence in the early morning hours. Three days later, Alex's torso was recovered floating in the Little Calumet River. 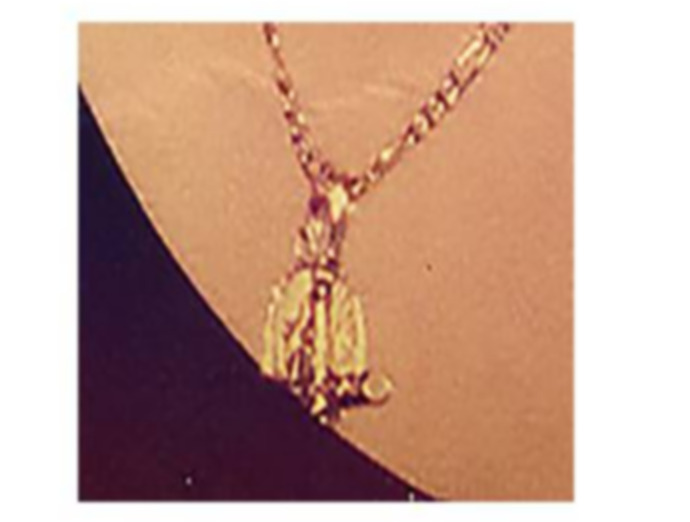 Alex was wearing a gold chain with a round, religious medallion.